In recent years there has been a surge in more and more people opting for sustainable alternatives to everyday activities. Hydroponic gardening is just one of the many ways to adapt to these changes. 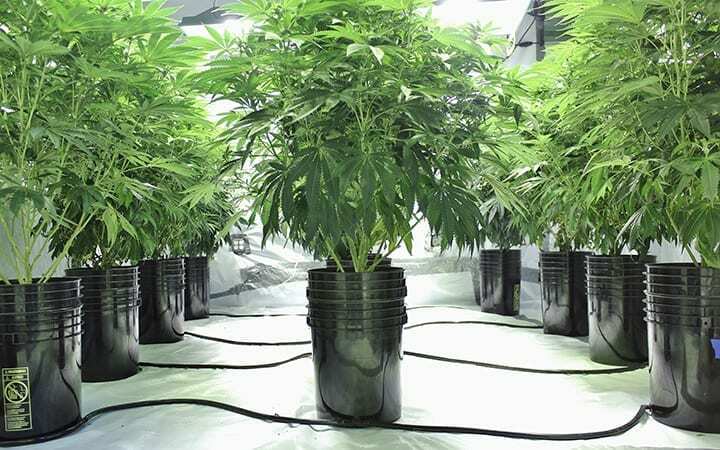 Due to these changes, many indoor hydroponic systems for growing cannabis have popped up. But what is hydroponic growing and what is the best hydroponic system? 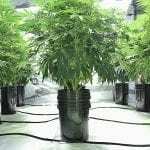 We tell you in this extensive look into hydroponic systems for weed. The literal definition of hydroponics is a way in which plants are grown with their roots submerged in a water-based solution. Essentially, it is a method of growing plants without any soil in a solution made of mineral nutrients dissolved in a water solvent. The solution is composed of a high concentration of minerals and nutrients. Since the roots are submerged, the hydroponics method of gardening does not require soil. In hydroponic gardening, you can grow plants that normally grow on land but without soil. The soil is replaced by a medium, which can support the roots; this can vary from perlite and gravel to rock wool, clay-pellets, peat moss, or vermiculite. These mediums act as a replacement for the soil. The essence of hydroponic gardening relies on allowing the roots to have a direct access to the minerals and nutrients. They find it in the soil without them having to absorb it through the soil. The solution mixture helps with the uptake of the nutrients as it allows direct contact with roots. The hydroponic system also doesn’t hinder the other vital requirements for plant growth; such as light and oxygen. Nutrients and minerals that are used in indoor hydroponic systems may be procured from a wide range of assorted sources. These are inclusive of, but not limited to, derivatives derived from the waste of fish, manure produced by ducks, and purchasable chemical fertilizers. One of the nicer things about hydroponics is how many different kinds of systems are available. Among the best of these systems are hybrids; these incorporate different features of varying indoor hydroponic systems. This is combined into a singular, hybrid system. One of the unique characteristics of hydroponics is that there are many techniques. We also call these different techniques a ‘hydroponic growing medium’. The plants get the essential nutrients and minerals via these different mediums. The Nutrient Film Technique hydroponic system, also known as NFT system, is one in which there is a constant current of the nutrient water-based solution. This streams across the tip of the roots of a plant. The system is kept titled at a slight angle to allow the flow of nutrient solution to coincide with the force of gravity. The system allows for the roots to be able to absorb the oxygen from the air as opposed to through the nutrient solution. This is better for the plant as it allows them to take up more oxygen. The plant is allowed to absorb more oxygen from the environment. Only the tip of the plant’s roots is in contact with the nutrient base. This promotes a faster growth rate. 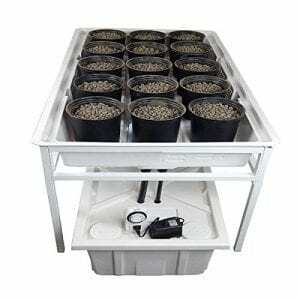 Ebb & Flow Hydroponics System: The ebb & flow system, referred to as the flood and drain system, is considered to be a very good indoor hydroponic system. This kind of system works through engulfing area in which the plants grow periodically with the nutrient base. After periods, the nutrient base steadily drains off into a reservoir. To ensure that the process is repeated at the desired intervals, a timer is attached to the pump. This fills up the system to carry out the next cycle and controls the timing of the cycle. This sort of hydroponic system for weed is perfect for plants that are used to bouts of drought. There are particular sorts of plants that fare better if they suffer through spells of dryness. It leads them to develop longer and bigger roots as they try to seek moisture. The growing of the root system encourages the growth of the plant, as it is able to absorb more nutrients. Thus, a good hydroponic growing medium to consider. Deepwater Culture: Deepwater Culture system, sometimes called the reservoir method, is perhaps the easiest indoor hydroponic system. In this particular hydroponic growing medium, the roots of a plant are only allowed to immerse in a solution containing nutrients. The nutrient solution is kept oxygenated with the help of an aquarium air pump. This prevents the plant’s roots from drowning and provides the essential oxygen. One important fact to remember is to make sure that no light penetrates. The light promotes the growth of algae and this, in turn, can prove to be disastrous for the plants. The biggest advantage of DWC is that it does not need a dripping or spray emitting system. This means there is nothing that can get clogged. It makes Deepwater Culture hydroponic system a great option if you are looking to practice organic hydroponics. Other hydroponics systems that make use of organic minerals and nutrients have a greater likelihood of getting clogged. 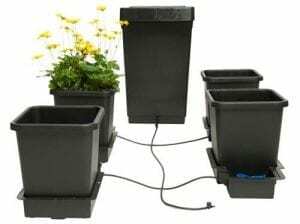 Aerogarden Aeroponics System: Aeroponics or aerogarden hydroponics system is a method where the plant’s roots have a mist of the nutrient base sprayed on. The roots are hanging up in the air. Aeroponics employs two main ways that bring the nutrient solution on the bare roots. The first way is through a very delicate nozzle that sprays mist on to the roots. The second method involves a piece of equipment known as the pond fogger. Should you choose to make use of the pond fogger be sure to get the one with Teflon treated disc. This will dramatically lower the extent of maintenance needed. 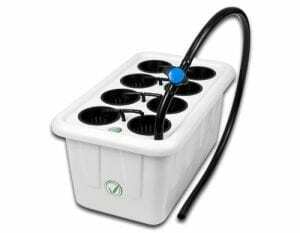 You might be familiar with AeroGarden, this is an often advertised aeroponics system. AeroGarden is a very good way to make the transition to aeroponics as it requires very little setup time. It is a turnkey system that starts the whole process. The system is also equipped with good backing and tools for a starter. Hydroponic Drip Systems: The drip system is very basic. 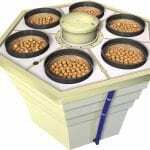 It is designed to provide a slow and constant supply of the nutrient base to the desired medium of hydroponics. The preferred medium for such a system would be something like rock wool, coco-coir, or peat moss. Although hydroponic growing mediums that have greater drainage than these work, they need to be accompanied by a dripping emitter. This makes sure that the nutrients are applied at the same speed. The disadvantage to the drip system is the equipment. The dripping and emitting tools are notorious for getting clogged. Drip systems are probably the least popular hydroponic systems for weed growing. Nevertheless, it does work well if you can avoid clogging. The main causes for the blockage of the emitter are the particles that break free from the nutrients. This is a common problem among systems that make use of organic nutrients. Wicking System: Hydroponic Wick System is thought to be the easiest and cheapest indoor hydroponic system for weed. The idea of wicking hinges on a material, for example, a piece of cotton, which is hemmed in by a medium that promotes growth. The other end of the said material is submerged in the water-based nutrient solution. Thus the nutrient solution can be wicked to the plant’s roots. The system can be further streamlined if the wicking materials were to be completely eliminated. One then only has to make use of a medium that allows for the wicking of the nutrients to the roots. The way to make it work would be by hanging the end of your preferred choice of the medium into the nutrient solution, e.g. vermiculite or hardened expanded clay. 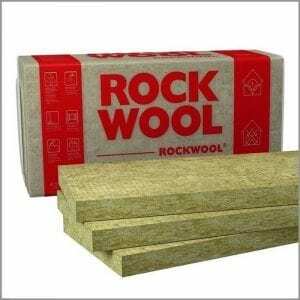 Mediums such as Rockwool, coco-coir, or peat should be avoided as they have a tendency to absorb too much of the nutrient solution leading to suffocation of the plant. 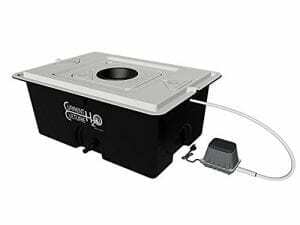 We have put together a list of tools and equipment for you to get started with hydroponic growing. 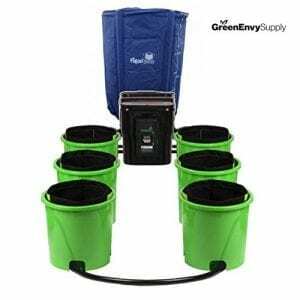 Even though there are many hydroponic growing methods, many of them require similar equipment. Mainstream fertilizers used for regular gardening will not work for hydroponic growing. You need a special nutrient solution for hydroponic plants. A pump provides the two main elements required for the successful growth of any plant: air and water. The water pump is used to supply (and drain, if needed) the nutrient base to the plants. Air is pumped into reservoirs using an air pump. There are 2 kinds of pumps: submersible, i.e., that is complete that submerged in the base, & non-submersible, i.e., is not submerged in the solution. Trays that house the plants in the reservoir, which holds the medium. It is submerged with the nutrient base using the pump periodically. A reservoir holds the nutrient solution. The pumps and timers are submerged in it to regulate the air and water. Before purchasing contemplate its size. Also look for covered/closed ones as it reduces the evaporation rate. Timers are needed in almost every hydroponic system for weed. They help regulate the water pump, to ensure the flooding and draining happens at the right time. Timers also monitor when the lights have to be turned off or on and regulates the heating and ventilation as well. Digital timers are preferred over analog since they are more advanced. For the plant to flourish in indoor hydroponic systems, the pH level of the nutrient solution has to be balanced. Purpose of a pH test kit is to make sure that the solution has an optimal pH degree. 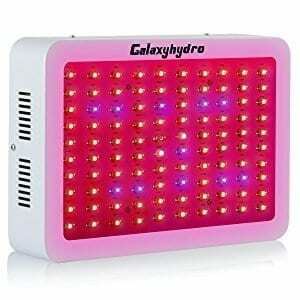 Grow lights allow your hydroponic garden to thrive. The intensity of the lights promotes photosynthesis, which helps with growing and developing. Regular bulbs and fluorescent tubes are not recommended as they might prove to be detrimental for the plants. 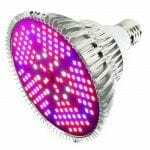 We have reviews on various LED grow lights on our website. You can also read about the different types of grow lights here. The growing medium holds the roots of the plant and gives support. Different systems require different growing mediums. A medium should be able to keep moisture. Read below for the different types of mediums for hydroponic systems. Decomposes, particles shed leading to clogs. Comes in dried and compressed, has to be soaked. No fear of drastic changes in EC or pH. Formed from the husk of coconuts. Increases ventilation & drainage of the soil. Wear a mask when handling perlite. 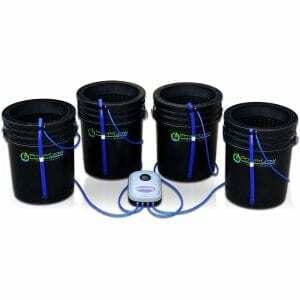 This is a complete DWC hydroponic system that is easy to use. 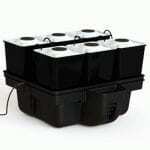 It is a 4 plant hydroponic system; meaning it allows for 4 different plants to grow at one time. 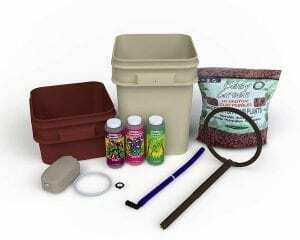 The kit includes several tools, such as an air pump, air-lines, air-stones, 10-inch basket lids, four 5 gallon FDA buckets. All the four DWC buckets have marks that indicate water level as well as drains thus making changing the water easy. There is also a one-year warranty on the kit. The kit is constructed from high-grade plastic to ensure durability. It’s one of a kind square design permits plants to be tightly packed into the modules. This way larger and higher density installations can be created. 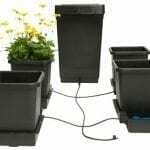 The kit can support any sized plants and boasts a large capacity to hold water. In the end lesser water is needed. This model is easy to use for anyone. All one needs to do is add water and turn the machine on. It includes most, if not all, the equipment or tools you will require. It even includes the different mediums that work best with it. The tools include an Eco Air 2 Air Pump, growth module (13-gallon), Drain Valve Kit, CCH2O Heavy Harvest Lid with Porthole, 5.5 inch CCH2O Net Pot, and an Air Hose. The medium and solution are growstone Cultured Solution Veg A&B Premium Plant Nutrients. However, if you are still not comfortable there are a fast access lid porthole and drainage valve. It also comes with a one-year warranty. 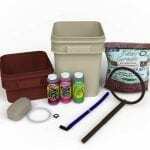 The system comes with everything that you need to set up a new hydroponic system. With this system, you can grow up to 10 different plants easily in a little space. It controls and regulates the amount of water oxygen and nutrient your plant receives in order to ensure its optimal growth. The system promises to deliver not only a better yield and growth rate but also an enhanced taste of fruits and smell of the flowers grown. Let’s hope that’s also the case for your cannabis. 😉 This is an Ebb & Flow Hydroponic system we really love! 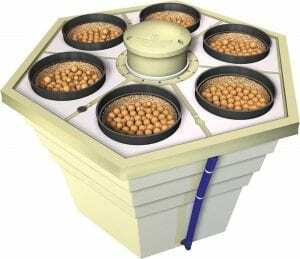 It is by far one of the most encompassing hydroponic systems. Also, this is probably the best hydroponic system out there. It has a 26-gallon reservoir to ensure you have a large water capacity. The buckets are 5 gallons to allow optimal growth of the roots. The pots have tiny holes in them that encourage the oxygen to reach the roots and also help in the draining process. It also comes with a timer for easy regulation of the flow and filling of the system. This helps in avoiding any fungal growth and increases your hydroponic system yield. This is a very simplified design. It requires no form of power to function and relies solely on the force of gravity to feed the solution to the roots. No fancy pumps or timers are required to function. The simplicity allows it to be easily accessible to all kinds of growers yielding great results. Also, if you want to increase your yield more pots can easily be linked up to one reservoir. We already mentioned this one, but we are mentioning it again. This is a combination of systems. It is a complete system, that if you have you will not need much else. It is consistent and basic, good for large yield, perennials, and mother plants. Also, it is dynamic as it can easily be shifted, from either one room to the other or from outdoor to indoors. It comes with enough tools and equipment that you won’t have to purchase any yourself. 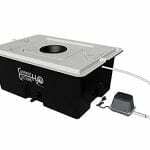 The package includes a 4-gallon reservoir, 2-gallon growing chamber, pumping column, drip ring, drain level tube. The system also allows you to add on more systems thus increasing your yield limitlessly, and hence creating a customized size that best suits your needs. 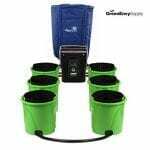 This is a great system for those who are strapped for time as it claims to be able to help grow your plants 5 times faster than usual. It also claims to be safer, and easier than most of the other conventional hydroponic systems. SuperPonics Hydroponic Grow System is a 4×4 hydroponic system as it incorporates the best technology various hydroponics. It does this through mixing automatic top feeding, DWC, bubble, and AeroPonics. Beginners, professionals or those looking for big yields can use this system. It is simple and a well-organized, resourceful and sophisticated system that due to its compactness can grow almost 40 (!) plants. There are two versions available: hydroponics and aeroponics. Hydroponics is good for beginners and comes with clay pellets, whereas aeroponics is more for professionals. It is easy to set up though. 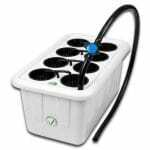 The Aerostar is easy to use and results garnered from it are 10 to 15% higher than those from regular hydroponics. The uptake of both air and water is a lot higher, thus accelerating the growth by 30%. The systems are very malleable as the pots allow each plant to be watered as needed. They can be removed and transported easily. The number of pots you use is up to you, whether one or a thousand. The easy installation makes everything possible. It can be converted from Aerostar to Hydrostar in a matter of seconds. Two water pumps are included with the systems, which also have a warranty of 1 year each. There are very few hydroponic systems that can match up to RainForest. It is the best hydroponic system when you’re looking further than the usual hydroponic systems. The Vortex Sprayer raises and provides oxygen to the nutrient base. It dispenses across the root, giving a high level of oxygenation. The system is perfect for the beginning to the maturity stage of the plant’s life. This system also has a Vortex Sprayer, which disperses a mist, thus producing an extremely humid, but still much-oxygenated zone for the root. The roots are allowed to peacefully soak in the nutrient solution constantly. The Rainforest 66 is ideal for plants that are either medium or large size. The nutrient solution in the reservoir should be changed every 2 or 3 weeks. The nutrient solution can be kept further oxygenated by installing an air pump that has an air stone connected via malleable tubing. The temperature of the water in your reservoir should be monitored and kept between 65-75 degrees. Installing either a heater or a chiller for the water can do this. Try to follow the feeding cycle as provided on the pack by the manufacturer of the nutrients you use. In the case you find your plant looking unhealthy, i.e., a varied shade or shape, the first thing you should do is check the pH level and adjust it. If that does not solve the issue flush your system with a cleaner. You can also look for possible causes in this article. After each growing cycle makes sure to flush, wipe down, and disinfect the whole hydroponic system. Drain the reservoirs and get rid of the debris. Follow this with running the system for a day with a mixture of non-chlorinated bleach and water. Be sure to drain the system once again flushing it out carefully with distilled water to ensure all the bleach is removed. Do you want to know everything about measuring the intensity of your grow light? Read about it in our PAR Light Meter article! Learn everything about growing with hydroponic systems and using the best techniques.